Whether an open-style roof is made of thin latticework or substantial beams, construction techniques are similar. Some can even be built apart from the structure and then installed. Lattice panels can be pre-assembled from 1 by 3s and fitted between rafters. Whether you are using lath, battens, boards, or larger lumber, the width of the pieces and the spacing between them will determine the effect created by your overhead. Wood thickness and spacing can vary greatly—as can the amount of shade the variations create. For example, 3/8-inch lath laid flat and spaced 3 inches apart will not cast much shadow. But 2 by 2s spaced half an inch apart—or 1 by 3s on edge—will cast considerable shade. Here are some spacing guidelines used by landscape architects: Space lath that is up to 1/2 inch thick 3/8 to 3/4 inch apart. For stock that is 1/2 to 1 1/8 inches thick, make the spacing between 3/4 and 1 inch. You can space 2 by 2s up to 2 inches apart under certain circumstances, but spacing them 1 to 1 1/2 inches will make the patio more comfortable in most cases. The direction to run the roofing material depends on the time of day you want maximum shade. If you want the greatest relief from sun at noon, run the material east to west; if you want shade in the early morning and late afternoon, run it north to south. It’s a good idea to test your roofing material by temporarily nailing a small amount of it at various spacing intervals to the rafters so you can study the effects of each configuration at different times of the day. Keep in mind that the angle of the sun changes from season to season, not just during the course of a day. Roof height will also affect the degree of light that falls on your patio or deck. The higher the roof, the more diffused the light becomes. The lower the roof, the sharper the shadows it will cast on the ground. To prevent lattice-style roofing from sagging and warping, be conservative about the distances it spans. Do not span lath and batten more than 2 feet apart. You can span 1-bys up to 3 feet apart, but 2 feet is better; with 1-by-2-inch stock laid on edge—or with 2 by 2s—you can span 4 feet without objectionable sagging, but the boards may warp or curve a bit. Do not span any material more than 4 feet. Sight down lumber to check for any crown (a curve along the edge); if the material has a crown, always face the convex side upward. Before nailing any boards, double-check that they are spaced evenly and aligned perfectly. Set aside pieces that are overly twisted or bent. To keep the spacing consistent between closely spaced lattice or boards, cut a scrap of lumber to use as a spacer. Always use galvanized or other corrosion-resistant nails to secure the wood to the framework. With 3/8- or 1/2-inch-thick lath, use 3d or 4d common or box nails. For use on 1-inch stock, choose 8d nails. Use 12d or 16d nails for thicker materials. Nail twice at each rafter, and join cut ends directly over the rafters. If your wood tends to split, drill pilot holes before nailing. To reduce your time on the rooftop, preassemble panels and fasten them as shown in the illustration above. You can make the panels practically any size, but 3 by 6 feet is the optimum dimension for lightweight material. 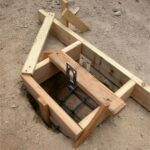 Be sure the structural framing is true enough to receive the panels without a struggle. Wooden slat louvers offer excellent control of direct sunlight when installed in a patio roof or gazebo roof. Fixed louvers can be set at an angle to block the sun at the time of day it is most unwanted. 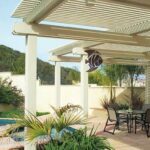 Adjustable louvers can permit almost any degree of light or shade throughout the day. If you run louvers east to west, slanting the boards away from the sun, you will obstruct the midday sun and admit morning and afternoon sun. If you run them north to south, you will admit morning or afternoon sun, depending on the slant of the louvers. Since a fixed-louver overhead is designed to block direct light for only part of the day, you will want to figure out what time the sun is highest in the sky during summer. When figuring louvers for a pitched roof, do not forget to factor in the angle of the pitch to the angle of the sun. Fixed louvers can be nailed directly to rafters. Fixed louvers can be nailed directly to rafters, or they can be built in modular sections and then fastened in place. The illustrations above and below left and right show three different ways of fastening louvers to their supports. With stepped rafters, make sure the width at the shallowest point is not less than that specified for the span. 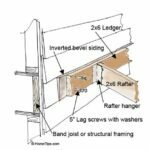 If you cut stepped rafters, be sure that the width at the shallowest point is not less than that specified for the span. For the louver material, 1 by 3s, 1 by 4s, or 1 by 6s not more than 3 feet long are best. Though adjustable louvers can be exacting to build, they offer excellent sun control. If you do not want to attempt the precision work involved in making adjustable louvers, consider buying a ready-made system. Shown in the illustrations below is one design for building your own system. Build the modules separately, and then fasten them between the rafters. Louvers should not exceed 4 feet in length; cut them slightly shorter than the space between the rafters. Use aluminum nails with the heads clipped off for the pins. Fasten the modules between the rafters with metal pins and washers. Build adjustable louvers from separate modules. Before deciding on a roofing material for your outdoor structure, you should take into consideration the pitch of the roof as well as the roofing material used on your house. Before getting your heart set on the looks and endurance of wood shingles, check with your local building department to find out if they are permitted in your area due to their flammability. Wood shingles are usually Western red cedar; they come in lengths of 16, 18, and 24 inches. Though siding is not a traditional roofing material, it can be acceptable for outdoor structures as long as the pitch of the roof is sufficient to allow for adequate runoff. 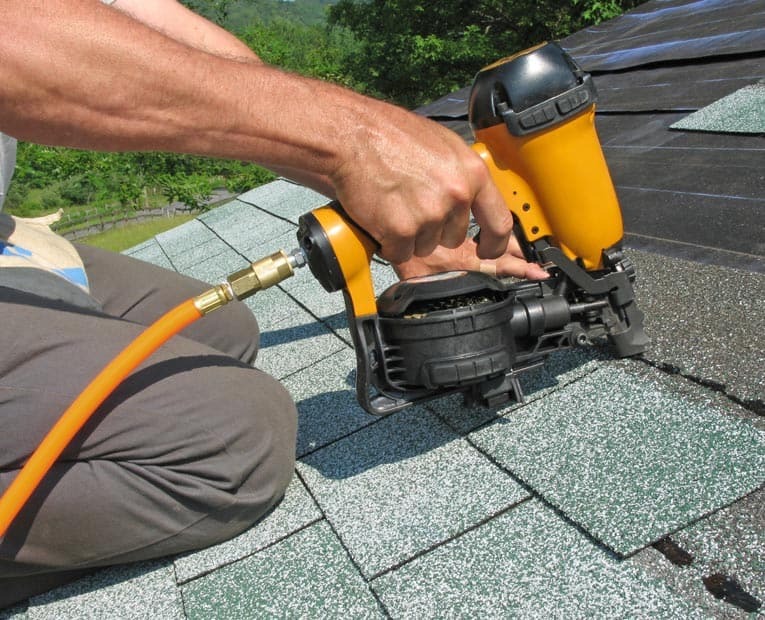 As with any roof, it will need a layer of roofing felt underneath the siding, which should be sealed against the elements. Redwood and cedar, because of their decay- and moisture-resistance, are popular choices. Horizontal-shiplap or beveled patterns will shed rain the way a shingled roof does. Siding boards come 3/4 inch thick, up to 20 feet long and 4 to 12 inches wide. Plywood siding can also be used as a roofing material. Sheets can be used for large areas, lapboards for smaller surfaces. Sheets come 4 by 8 feet, lapboards 6 to 12 inches in width and up to 16 feet in length. If the plywood has not been previously finished, it must be sealed before being installed.